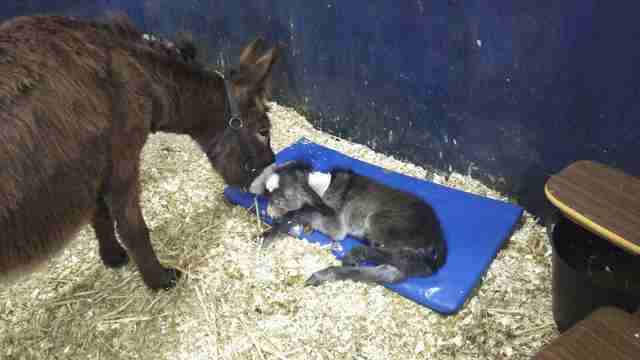 As soon as this baby donkey was born, he was almost at death’s door. That’s because his mother, Strawberry, had endured a lifetime of neglect and abuse before being dumped at a sanctuary for unwanted donkeys like her: El Refugio del Burrito, in Spain. Rescuers took her in and realized that she was pregnant. So when Strawberry gave birth to her son earlier this month, at least it was in the comfort of people who care about them. But the struggles of the past came back, since the foal, Indiana, was weakened, presumably from the stressful life his mom lived while carrying him. 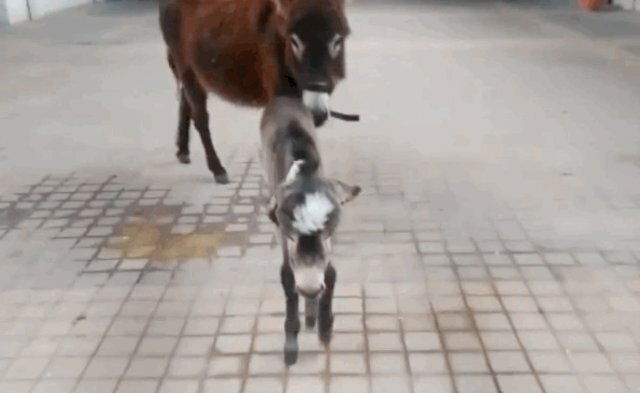 At first he couldn't get milk from his mom. "The first hours of life are crucial. We milked Strawberry and fed Indiana, but he was still very weak,” Rosa Chaparro, spokesperson from El Refugio Del Burrito, told The Dodo. "His life was clearly at risk so we decided to take them both to the equine hospital in Cordoba." 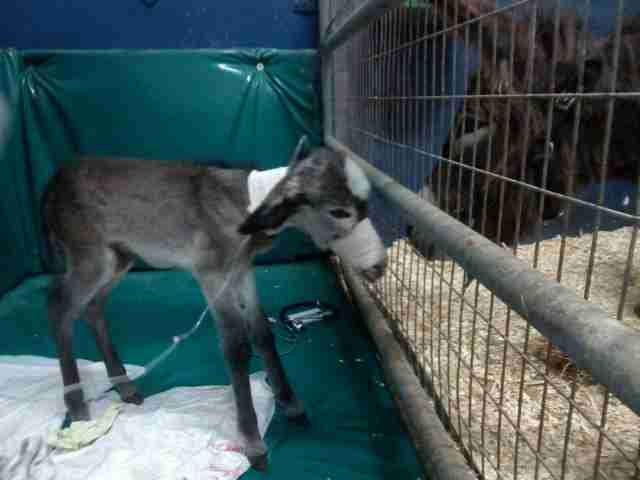 Indiana was suffering from hypothermia and hypoglycaemia and needed intravenous rehydration and antibiotics. All through his treatment, Strawberry was by his side. And the love and care has been making a difference. "He remains in the hospital and is recovering very well,” Chaparro said. “He is being fed manually while having lessons trying to teach him to get milk from his mother by himself." When they’re ready to leave the hospital, Strawberry and her son will have a home at the sanctuary where they can live together, free from fear and harm. “Strawberry is such a good mum and she doesn’t leave him alone for even a minute,” Chaparro said. 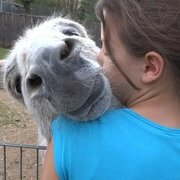 To help this little family of donkeys — and the other animals at the sanctuary — get the care they need, you can make a donation.